You have a choice of becoming a Level 1 Registered Medical Transcriptionist (RMT) or a Level 2 CMT (Certified Medical Transcriptionist). Before you can even make an appointment to sit for exams, you must be eligible to do so. The Level 1 RMT exam tests your objective and overall medical transcription knowledge, as well as tests your performance. It's composed of 130 multiple-choice and/or fill in the blank questions. The second part of the exam contains practical transcription exercises. You have to transcribed and proofread brief medical dictation sound files according to given instructions. Your keyboard skills and knowledge are important, but so is your ability to think critically and apply your transcription skills during the exam. In most cases, the exam will be offered on a touch screen computer, and you're allowed roughly 3 hours to complete it. Keep in mind that no reference materials are allowed in the testing environment! The Level 2 CMT exam determines your competency, ability and proficiency in transcribing dictation. Medical transcriptionists often wait a year or two to get some experience under their belt before attempting this certification. The exam is quite rigorous, and can be overwhelming to those without experience. The test takes approximately 4 hours, and requires focused knowledge of acute-care transcription examples. 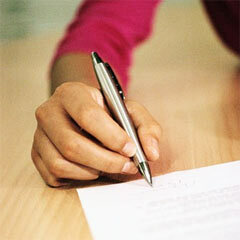 Review the transcription rules with regard to the use of capitalization and numbers. Know your punctuation, including when and when not to use commas, colons, semicolons, hyphens, and periods. Familiarize yourself with symbols that may be used in medical reports, and how to properly insert dates. Know how to type drug dosages and when to use lowercase or uppercase abbreviations for generic or brand pharmaceuticals. These are basic guidelines for all medical transcriptionists. Lastly, be as proficient as possible in proofreading and editing your own work. There's nothing better than experience when preparing for any type of certification or exam. However, you can certainly sit for a test any time you feel you're ready. Professional transcription organizations typically offer self-assessment tests, products, and books to help you gauge your preparedness and proficiency before taking an exam. You may also wish to take advantage of simulated tests or practice tests to help you prepare for your "real" exam. The Association for Healthcare Documentation, formerly the American Association of Medical Transcriptionists, offers a variety of such practice tests and exams that you can purchase on their website. Exam fees aren't cheap. You'll pay a different price depending on whether or not you're a member of the association through which you take the test. The cost for the RMT exam is $150 for an on-site member, as opposed to $230 for nonmembers. The cost for the CMT exam is approximately $200 for an on-site member exam, and $280 for a nonmember. While you may be disappointed if you don't pass either test the first time, it is a possibility. It happens to many of us, for a variety of reasons. But don't worry if this happens - you can take the CMT exams again! However, you can't take the CMT test more than twice in a 12-month period, and candidates may have to wait up to six months to retake exams. As you can see, it pays to be prepared. The most important thing is to know the basic transcription rules, guidelines, formatting style, and use of punctuation and grammar throughout the four major medical report styles. What to memorize, and what not to worry about? You'll never be able to determine exactly what you need to memorize and what you don't. However, you should have an in-depth knowledge of medical terminology in all fields of medicine. 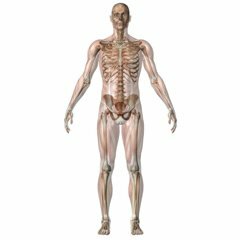 Practice with prefix, combining form, and suffix terminology for major medical fields including orthopedics, oncology, cardiology, digestive, endocrine, and pediatric specialties. Be extremely proficient in your use of capitalization and numbers in medical transcription reports. Become familiar with your drug or pharmaceutical handbook. This doesn't mean you have to memorize every page, but know when to capitalize or not to capitalize drugs. Know your abbreviations when it comes to dosages and doctor orders regarding how often patients must take their medications. To fully prepare for the medical transcription certification exams, you should definitely take advantage of the wealth of self-assessment books, materials and resources at your disposal. With diligence, determination, and focus, you'll pass your certification exam with flying colors! According to the Association for Healthcare Documentation Integrity, it isn't mandatory for individuals to become certified, but it is certainly advantageous when it comes to advancement and competency in the field. Having a certification emphasizes your training, credibility, and professionalism in the field. The best of luck! You may find this guide to finding a medical transcription school useful in your career path as well.